Beverley Dymond is a Holistic Practitioner, practicing The Body Code and The Emotion Code. When she read The Emotion Code book she was very excited, knowing this was what she had been praying and looking for. 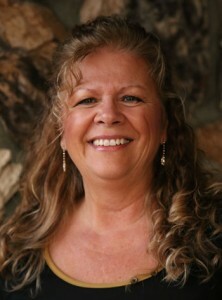 Beverley has always had a keen interest in Natural and Alternative health-care. Beverley has had many opportunities to use a variety of different natural treatments for her family and herself, and has seen many successes in this field. She is a mother of five children and has five grandchildren. She has helped her family, clients, friends, and herself deal with ADD, ADHD, Autism Spectrum Disorders, Asthma, Hearing Problems, Rheumatoid Arthritis, Depression, Anxiety, Cancer, Pain, and Memory Loss. Some of her personal challenges have been the result of traumatic birthing, immunizations and mercury poisoning. Also she had been diagnosed with severe degenerative disc disease, and was told by her doctor that she no longer could pick up anything heavy, or garden. She had to take pain killers to ease the pain. Since working with The Emotion Code and Body Code, Beverley has not taken any pain medication, and can do normal activities now. She even enjoys snowmobiling. Having suffered from periods of depression in the past, Beverley had followed the traditional treatment methods to alleviate this issue, including counseling and taking anti-depressants. Her personal journey led Beverley to work as a counselor in a Women and Children’s Shelter while attending college to become a Social Worker, to allow her to help others in similar circumstances. Beverley’s first experience with “letting go” of trapped emotions came when she had similar work done. The practitioner helped her confront and release some emotional baggage that had been present for her since she was a teen-aged victim of physical and sexual assaults. Her feelings of unworthiness and depressive thoughts were gone after this session and she felt free. In an effort to help others have this same insight, Beverley found “The Emotion Code”. She was very excited knowing this was the missing piece in becoming whole; physically, emotionally and spiritually. Beverley has always been led back to God and His unconditional love. She will be forever grateful. Through her unrelenting desire to help others, Beverley offers love and hope even when times seem hopeless. The Body Code System and The Emotion Code are powerful healing tools and a compliment to conventional medical care. They are not replacements for appropriate medical and/or mental health therapy. If you choose to use these techniques for any of your own emotional and physical issues, you are taking responsibility for your own well being and release Beverley Dymond of all liabilities for any effects resulting from using The Bode Code System and The Emotion Code. Beverley Dymond is not a medical doctor or licensed therapist. If you are on medication, do not stop taking it without consulting your physician.